There are many alternatives to psychiatric diagnoses and harmful psychiatric drugs and treatments. These include standard medical care that does not require a subjective psychiatric label or mind-altering psychiatric drugs. Informing the patient of alternative treatments so he can make an informed, educated choice. Psychiatrists routinely do not inform patients of non-drug treatments, nor do they conduct thorough medical examinations to ensure that a person’s problem does not stem from an untreated medical condition that is manifesting as a “psychiatric” symptom. They do not accurately inform patients of the nature of the diagnoses, which would require informing the patient that psychiatric diagnoses are completely subjective (based on behaviors only) and have no scientific/medical validity (no X-rays, brain scans, chemical imbalance tests to prove anyone has a mental disorder). Warning: Psychiatric drugs can be very addictive, and can have severe withdrawal symptoms. Starting, stopping or changing the dosage or frequency of use can cause severe mental and/or physical effects. Never start, pause or stop taking prescribed medication or change your dosages or medical treatment or therapies without consulting with a competent physician that knows your unique medical condition(s). If you want to stop taking a psychiatric drug, do so under the close supervision of a licensed physician who has experience in successfully taking patients off of your type of drug. Get informed on what you can expect to experience during the process, and what to watch out for. Nothing on this website should be relied on as medical advice. It is provided for general background information only. Harm Reduction Guide to Coming Off Psychiatric Drugs The Icarus Project and Freedom Center’s 40-page guide gathers the best information we’ve come across and the most valuable lessons we’ve learned about reducing and coming off psychiatric medication. Includes info on mood stabilizers, anti-psychotics, anti-depressants, anti-anxiety drugs, risks, benefits, wellness tools, psychiatric drug withdrawal, information for people staying on their medications, detailed Resource section, and much more. A ‘harm reduction’ approach means not being pro- or anti-medication, but supporting people to make their own decisions balancing the risks and benefits involved. Written by Will Hall, with a 53-member health professional Advisory Board providing research assistance and many other collaborators involved in developing and editing. Psychiatric Drug Withdrawal: A Guide for Prescribers, Therapists, Patients and their Families, by Dr. Peter R. Breggin MD. This is the first book to establish guidelines and to assist prescribers and therapists in withdrawing their patients from psychiatric drugs, including those patients with long-term exposure to antipsychotic drugs, benzodiazepines, stimulants, antidepressants, and mood stabilizers. It describes a method developed by the author throughout years of clinical experience, consultations with experienced colleagues, and scientific research. Based on a person-centered collaborative approach, with patients as partners, this method builds on a cooperative and empathic team effort involving prescribers, therapists, patients, and their families or support network. The Road Back— How to get off psychiatric drugs safely. The most widely used outpatient drug withdrawal program in the world since 1999. 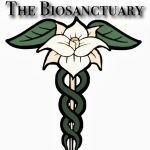 The Biosanctuary— A unique integrative medicine health retreat providing a unique detox & healing environment using the best of today’s most effective, evidence-based, biological medicine treatments. Located in Los Angeles, and Mexico. Recovery International– Recovery International offers meetings to men and women of all ages that ease the suffering from mental health issues by gaining skills to lead more peaceful and productive lives. In the last 80 years RI has equipped over 1 million people with tools to control behavior and change attitudes.The mission of Recovery International is to use the cognitive-behavioral, peer-to-peer, self-help training system developed by Abraham Low, MD, to help individuals gain skills to lead more peaceful and productive lives. Soteria House— Alternative and non-drug solutions for people diagnosed schizophrenic. Mind Freedom International — is a nonprofit organization that unites 100 sponsor and affiliate grassroots groups with thousands of individual members to win human rights and alternatives for people labeled with psychiatric disabilities. In a spirit of mutual cooperation, MindFreedom leads a nonviolent revolution of freedom, equality, truth and human rights that unites people affected by the mental health system with movements for justice everywhere. American Academy of Environmental Medicine — The AAEM provides research and education in the recognition, treatment and prevention of illnesses induced by exposures to biological and chemical agents encountered in air, food and water. Agency for Toxic Substances & Disease Registry— Lead toxicity: What are the physiologic effects of lead exposure?